As a certified Mac geek, I enjoy collecting new applications. I just checked and I have well over 150 applications on my MacBook Pro. A quick scan through the Applications folder tells me I should probably clean a few out. There have been a few bright lights over the last few months, though, and I thought I'd share them with you. It syncs to my online Evernote account, so I can create notes on my laptop, desktop and iPod Touch, and they all say up to date and accessible from any platform. I can capture photos, web pages (with links) and annotate pages. It will do word recognition from captured photos or web pages so I can search for things easily. 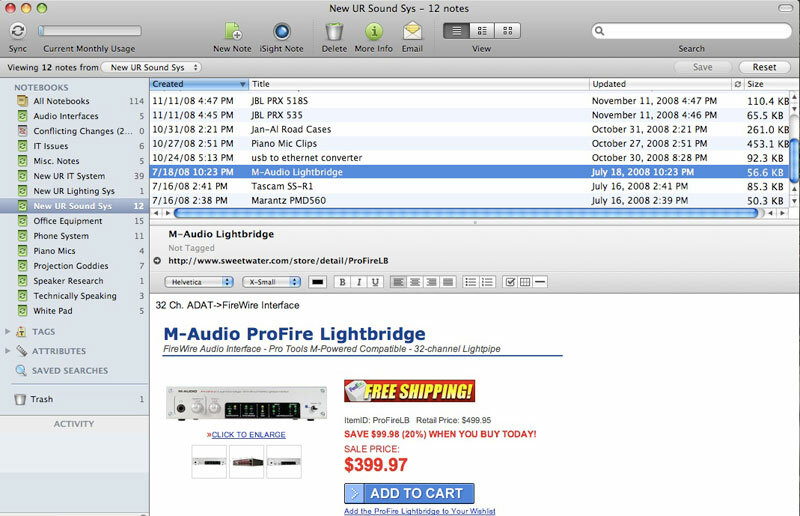 Even if I can't remember what interface I was looking for, I can search for Interface and it will find them all. Very cool. It's fast and light-weight (which is important to me, because I normally have 10-12 apps open at any given time). You owe it to yourself to check it out. It runs in Mac, Windows, iPhone, the Web, Blackberry and Windows mobile devises. Download it here. 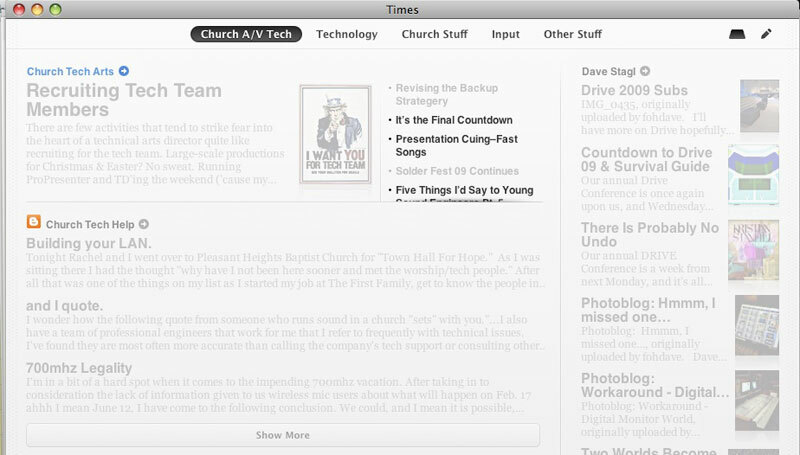 Times is my new favorite RSS reader. It is one of two apps I use every day from the MacHeist bundle. 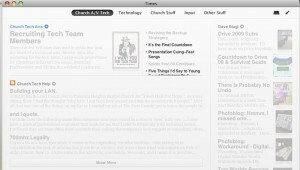 The underlying idea behind times is to make reading RSS feeds like reading a newspaper. You can build pages based on whatever organizational structure you choose, then drop feeds into pre-defined "boxes." New articles appear, and when you click on them, the page opens up right in Times (complete with pictures and video). It's a very slick and clever user experience. I've added a half dozen RSS feeds to my list just because they're so much fun to read in Times. Download it here. Caffeine is a simple app that does one thing; keeps your Mac awake. Have you ever been giving a presentation, and having stopped on a single slide too long suddenly seen the screen saver appear? Have you been video chatting and watched the screen dim? Or just sitting there reading/thinking and get annoyed at having to move the mouse every 2 minutes to keep the screen bright? Sure, you could go into System Preferences>Energy Saver and adjust your settings. But that's annoying. It's a lot easier to click the little coffee cup in the menu bar to keep the Mac awake. Simple, easy and free! Download it here. This is another one-trick-pony that is crazy useful when it does what you need. 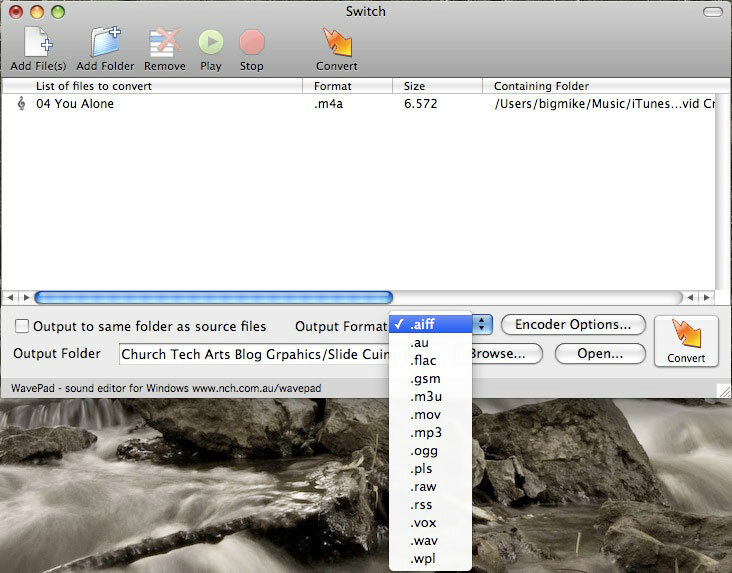 Switch will convert just about any audio file to any other audio file. Need to edit a video using an MP3 file as a soundtrack? FinalCut Pro will import it, but then you have to render the audio. Every time you make a change, you have to re-render. FCP prefers uncompressed audio. Switch will give you an .aiff file in just a few seconds. It will also convert to about anything else you can think of in no time flat. There is a free version that does everything I need, as well as a paid version with even more features. It's available for Mac, Windows & Linux. Download it here. 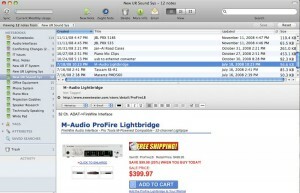 Convert any audio file format to any other in seconds. What's not to love? Click to enlarge.Those are a few of my favorite apps right now. What are yours?